MT: After release the book took on a life of its own, in terms of publicity and reach. Did that surprise you? CW: People have been wonderfully nice. But that’s always the hope. I would call it more of a relief and a pleasure than a surprise – if nothing like that had happened, it would have been a disappointment. I think the surprise is how little negative feedback there’s been. Perhaps it just hasn’t reached the people who would hate it yet. I think it’s mostly been read by people who to some degree share my social location and general aesthetic background – liberal-artsy types. I wish more mainstream Celine fans would read it, for example, although it means listening to some harsh words (mostly quotes) in the first couple of chapters. 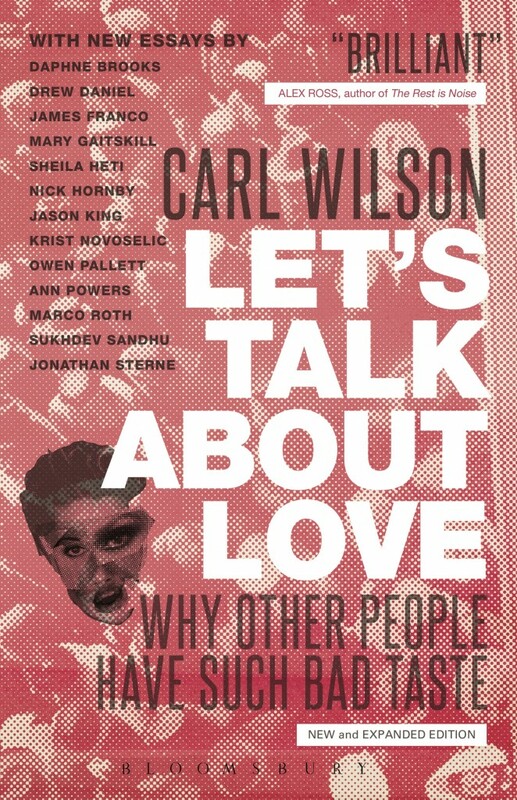 – Carl Wilson interviewed in Music Tomes on the new, expanded edition of his 33 1/3 title, Let’s Talk About Love: Why Other People Have Such Bad Taste (which adds several additional essays to the original text).